Voices of indigenous leaders from across Indian country will be heard in Denver the day prior to the first presidential debate to educate the public and challenge the candidates on issues affecting Native voters, including the Keystone XL tar sands pipeline. Oglala Sioux Tribe Vice President Tom Poor Bear is widely known as the first person to prompt President Obama to speak publicly about Keystone XL at an event in Denver a year ago this month. 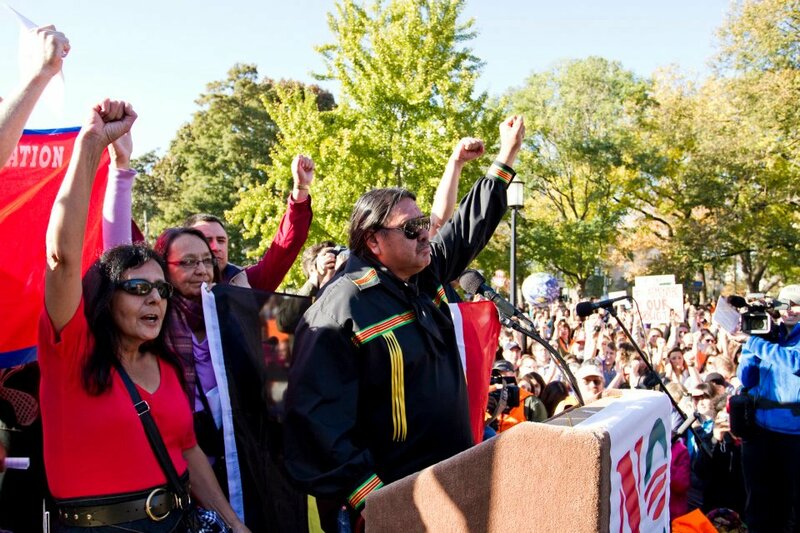 Immediately following, Native leaders will join Renewable Rider Tom Weis in delivering, via“rocket trike,” an Open Letter to Denver Obama and Romney campaign offices calling on both candidates to withdraw their support for Keystone XL. September 27, 2012 (Boulder, CO) – Today, Tom Weis and allies released an “Open Letter” calling on President Obama and Governor Romney to withdraw their support for Keystone XL on economic, public health and national security grounds. 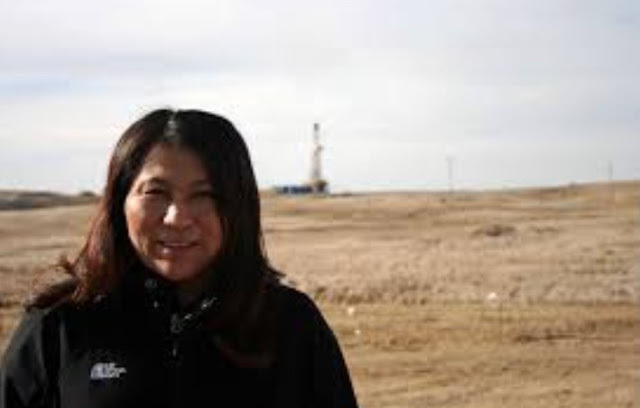 Inaddition to affected ranchers, farmers and indigenous leaders, signatories include Lester Brown, Daryl Hannah, James Hansen, Mariel Hemingway, Bill McKibben, Bonnie Raitt, Ed Begley, Jr. and race car driver Leilani Münter. Tomorrow, Weis begins a 4-week “rocket trike” tour of the eastern plains and Front Range of Colorado, where he will hand-deliver copies of the letter to Romney and Obama campaign offices. "The southern and northern webs of the Keystone XL pipeline represent the extraction and trafficking of dirty, toxic, carbon-intense synthetic crude oil that from cradle-to-grave is a weapon of mass destruction against Mother Earth,” said Tom Goldtooth, Executive Director, Indigenous Environmental Network. “President Obama and Governor Romney have an opportunity to show they are men of conscience by withdrawing their support for this project." "Political leaders are pretending they do not understand the implication of science that has become crystal clear: burning unconventional fossil fuels such as tar sands will hand a climate system to our children that is out of their control,” said Dr. James Hansen, one of the world’s top climate scientists. “Keystone XL is the exact wrong direction for our country,” said Lester Brown, President, Earth Policy Institute. “America’s economic path to prosperity lies in a wartime-like mobilization to ramp up our abundant domestic wind, solar and geothermal resources, not in facilitating dangerous tar sands exploitation.” He noted that Colorado is ranked 5th in the nation for solar resources and 12th for wind. Pointing out the threats to America’s heartland, where agriculture and tourism are major employers, actress/activist Daryl Hannah said, “It is time for all Americans to demand that our political leaders be brave, and be leaders, and do what is right for the people and the earth. Defending America against Keystone XL is not a Democratic or a Republican issue. It’s about doing what is right." Last fall, Weis pedaled the 1,700-mile proposed pipeline route from Canada to Texas, meeting many of the landowners currently resisting TransCanada. The 2012 tour will begin at NCAR in Boulder and end at NREL in Golden. The “Open Letter”is available for anyone to sign.